Hey, there probably weren't many dying to see Oscar-nominated Toni Erdmann get an American remake, but if it's going to happen, loading it up with huge talents everywhere is the way to go. At the top you've got Jack Nicholson in his first movie since 2010, paired alongside Kristen Wiig, with Adam McKay, Will Ferrell, and original director Maren Ade producing. 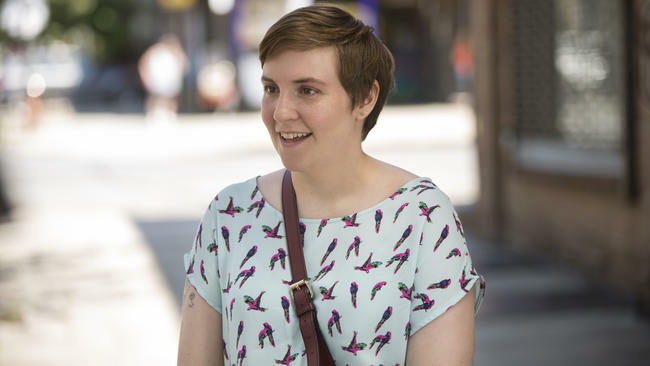 And now it gets even better with Lena Dunham coming aboard, and not as one of the stars. According to The Tracking Board, Dunham will team with her Girls showrunner Jenni Konner to co-write Toni Erdmann. It'll be interesting to see their Hollywood take on the story of an eccentric Dad who creates an entirely new persona just to spend time with his overworked daughter. The original movie has a lot of touches that won't work here in the States, so the humor will need to be tailored for a different audience. Dunham has written for the screen before. Her breakout feature was the indie Tiny Furniture, and she also penned 2012's Nobody Walks, so she's got experience at this sort of thing. A director still hasn't been found, but I suspect a number of big names are being considered. Expect news on that front soon.